Different heroes have diverse passive talents and skills. Upgrading a hero’s skill can increase the DMG of the skill. Setting the hero as the Captain can activate its captain skill. 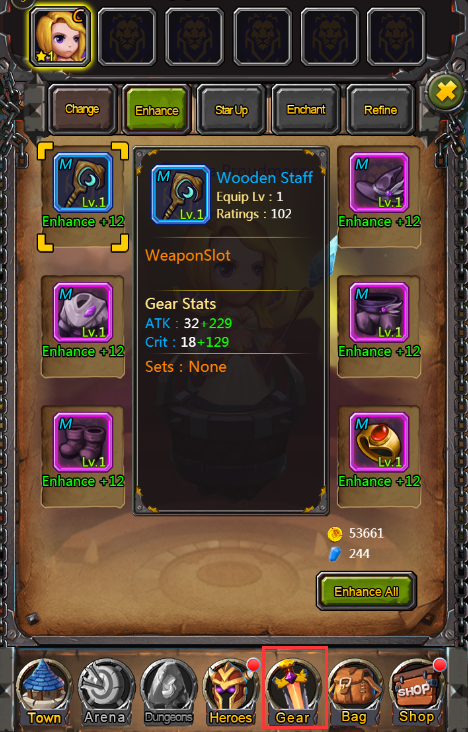 Smelt: You can use Enhancing stones and Gold obtained via smelting Gears to enhance Gears. Smelting Orange Accessory will obtain the same amount of Glories as exchange required. Smelting Other Orange Gear will obtain the same amount of Orange Shards as exchange required. 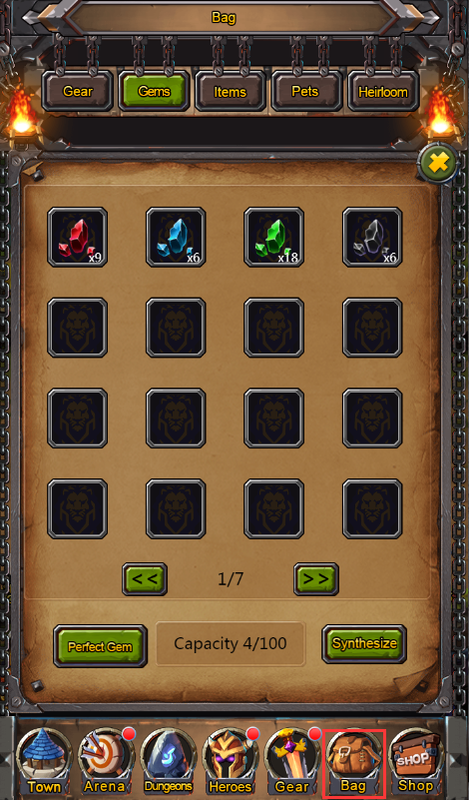 Gem: Gems or Gem Shards in the bag can be synthesized into Gems. Reach Lv30 to activate Arena. Player can challenge Arena 10 times per day for free. 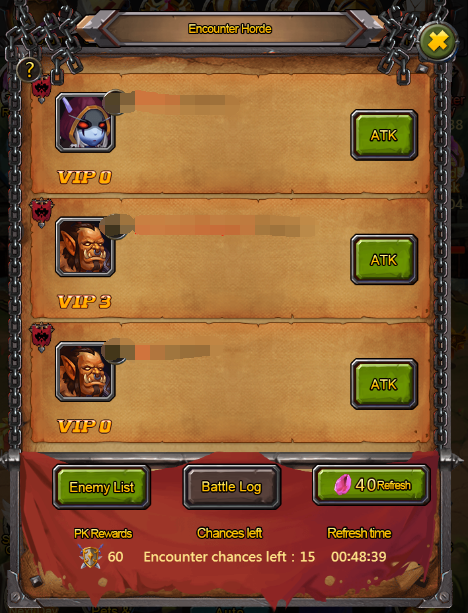 VIP3 can purchase more chances. 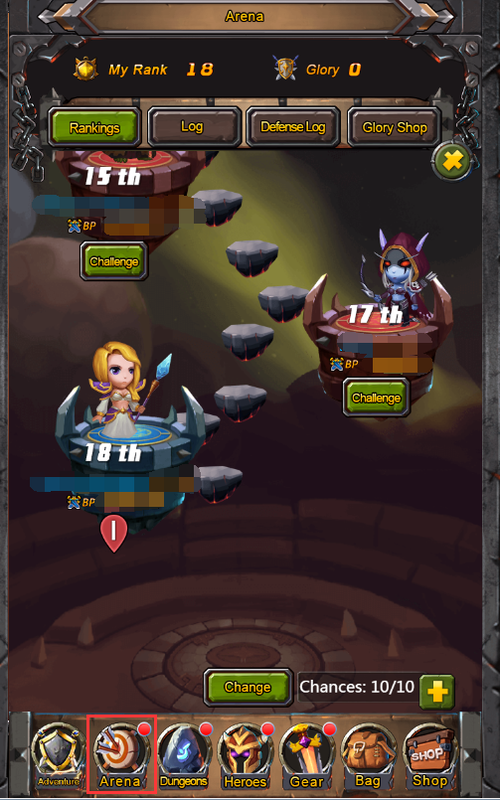 You obtain 60 Glories and increase in ranks in the Arena if you challenge other player successfully. If you fail, you lose 12 Glories and ranks do not change. 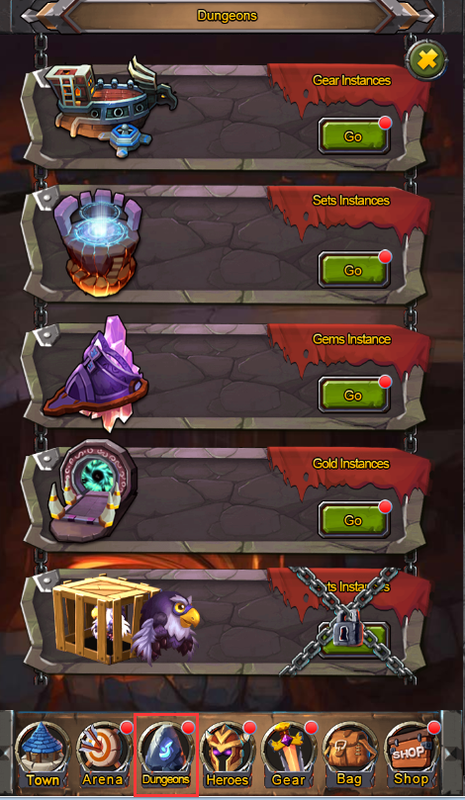 Player can use Glories to exchange Gears or Perfect Gems in the Glory Shop. Player can use Pet Orb to upgrade Pets and increase Stats. The Pets can be upgraded to the same level with the hero. 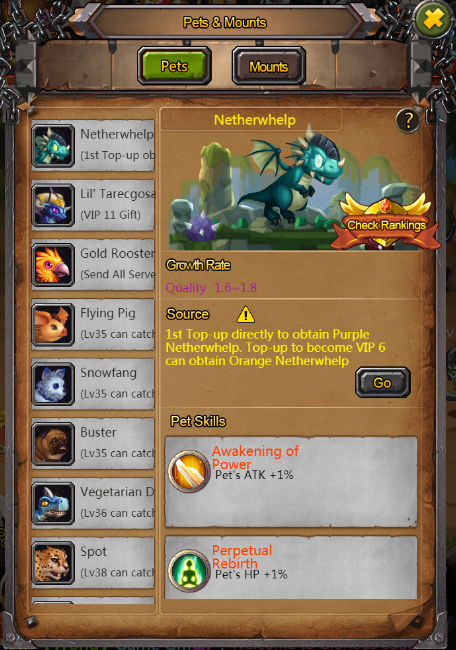 Player can use Pets Skill Book to upgrade Pets’ Skill. Each Pet’s Battle Stats will be added to all heroes in the formation. Player can only select one pet to join formation. Source of Mounts: Mounts Instances, Guild Vaults and Giftpack. 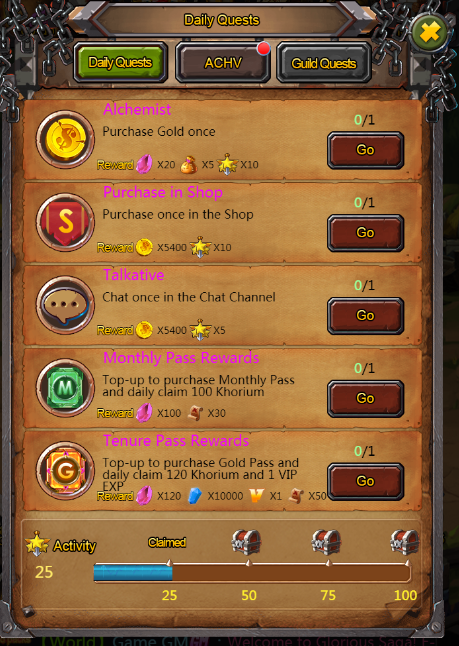 Player can finish the tasks in the Daily Quests to obtain Activity points When the Activity points reach requirements, player can claim different Activity rewards. Higher level means more Guild members. Guild Contrib. are used in the Guild Vault drawings. 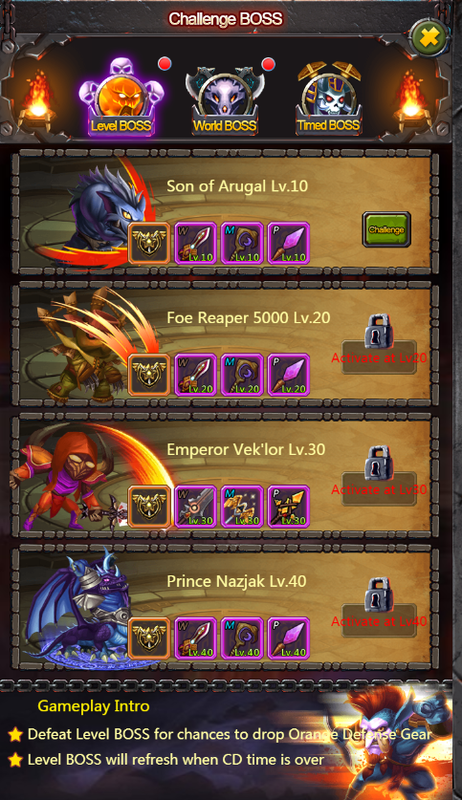 When Guild member leave Guild, all Contrib. will be cleared. Each time activating Guild BOSS will consume Guild Funds. Defeating Guild BOSS will obtain abundant rewards. 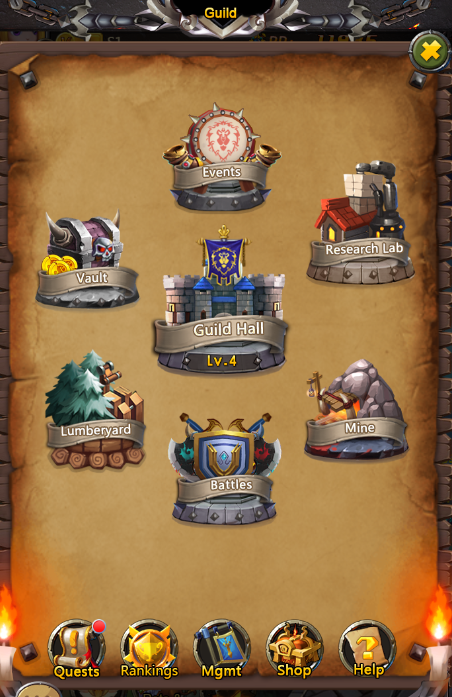 The functions of each building will be activated according to Guild level. 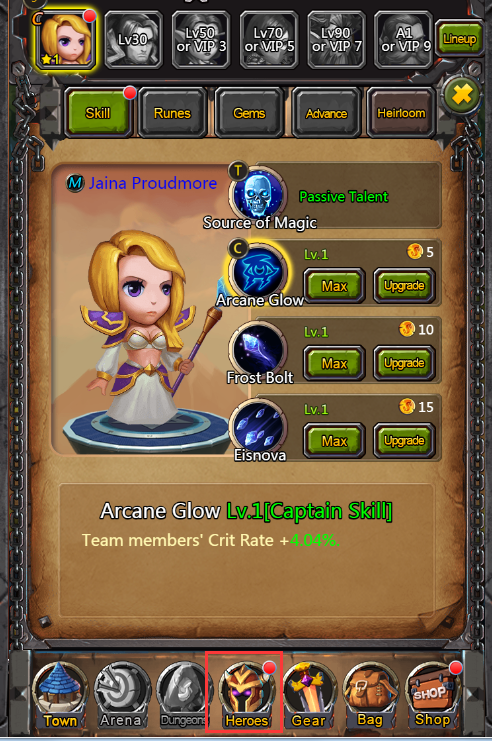 Leader must transfer the Leader position to other Guild members before leaving the Guild. Player who leave the Guild or kicked out will not be able to join new Guild within 12 hours.